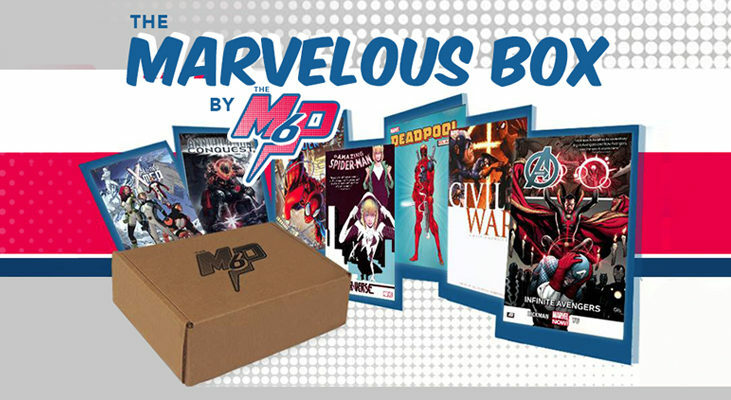 The M6P » Introducing The Marvelous Box! 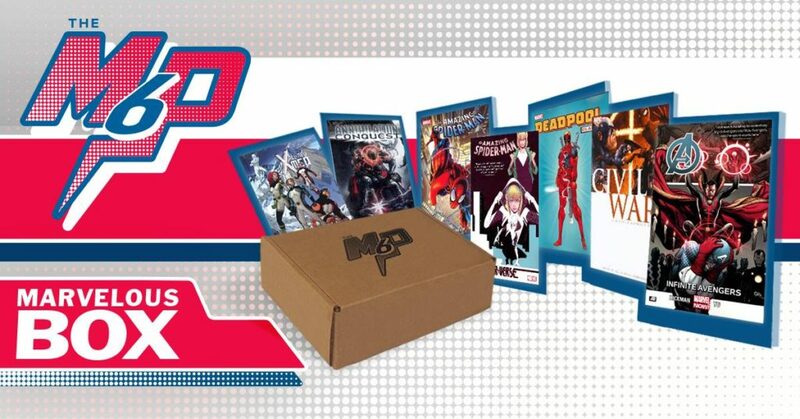 Marvelous Box is a subscription box service developed for the Marvel fan who can’t get enough Marvel graphic novels! 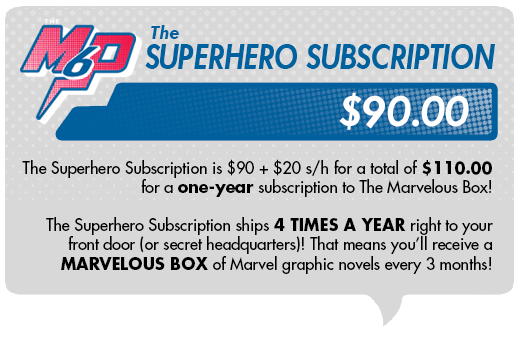 It was designed to get folks great Marvel graphic novels for a fraction of the price! 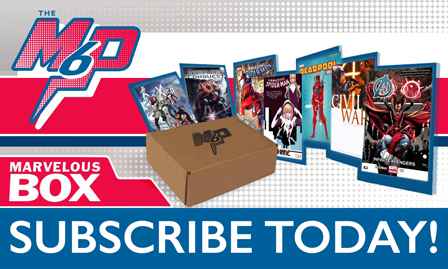 Whether you’re looking to try some titles or you already know about the awesome Marvel Universe, Marvelous Box is for you! 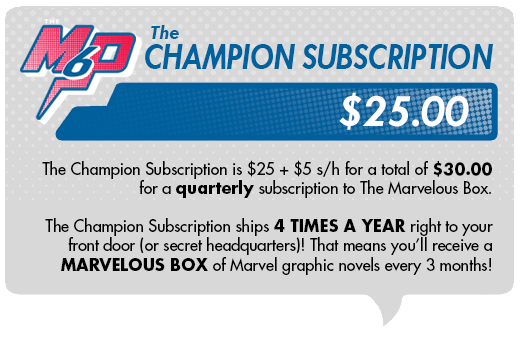 The Champion Subscription will ship 4 times a year right to your front door (or secret headquarters). You’ll receive a a box every 3 months and automatically billed quarterly. HOW CAN I SIGN UP?! PLEASE! TAKE MY MONEY!